If there is one question I have been getting a lot lately, it is How To Start A Youtube Channel. I get so many questions that I will look like a "winch" if I don't start teaching you want I know. LOL. I intend to make these YouTube Tutorials weekly depending on the demand for it. So here is my first video in the series giving Advice for starting a successful youtube channel. This is the advice I wish I got before I started my YouTube channel. My channel is currently at 73,000 + SUBSCRIBERS...I am very proud of this number! If you have not SUBSCRIBED, make sure you click HERE to do so. Ps. Have you joined the Nigerian YouTubers and Creators Page on Facebook?It's new but will be filled with lot's of resources and opportunity to share your content and network. Click HERE to join! nice blog.thanks for sharing the information. This is an eye opener. How can I combine work with been a youtuber? Can I be a part time youtuber? Yaayi sisiyemmie...I am addicted to youtube, a day won't pass by without me checking out some of my favourite youtubers like your humble self and i have learnt quite a lot. It will be a pleasure to owm a youtube channel and help people grow directly or indirectly, but right about now i can't figure out a content. Can you help ? This video was so timely. Last week I blogged about my need to vlog (cos somethings are best heard and watched than read), but I had my 'buts'.Then your YouTube/Google week video came up, then this video. Never had a better timing. So I looked up and asked God of this was a sign.lol. I've had videos stacked up from 2016, intended to be shared but never shared. Had my video edit app handy too but I just felt YouTube was too big a platform to be heard.I didnt even want to have a Youtube channel or comment so I don't get lured.There are millions of YouTubers.So I felt a smaller platform would be better, that way you reach out faster. I remember starting my blog with an inferno cos I love expressing myself but then came a need to keep up with numbers(page views, subscribers, social media followers) which is overwhelming. I have to steer clear from these and focus on content first. I suspect that goes for vloggers too. 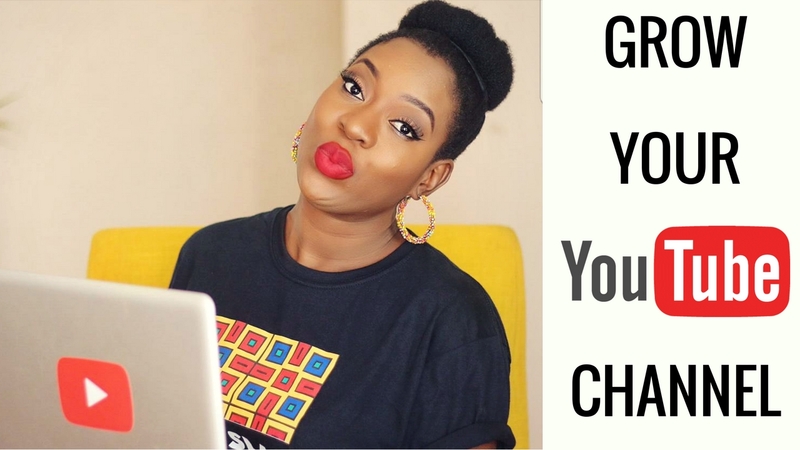 Watching this video, I'm beginning to reconsider.So being the 'vlog whisperer' that you are (I can confidently call you that.lol), kindly highlight in details,tips and tricks to making a vlog work and grow. You could go as far as being detailed with what video app works best or what cam works best, so starters don't have to wallow and get confused with options. You know I love yah. Sisi, thanks so much for your openness in sharing and inspiring others to start their YouTube channels. I watched the video some days ago and I was so inspired by it. May you continue to grow! Can't wait to see you reach 100k! God bless! This is great! I can't help asking myself where I have been all these years? Sisi Yemi, God bless you indeed.